In the wake of last month’s deadly shooting at a high school in Parkland, Florida, the issue of to what extent the insanity defense should be used in the courtroom as a criminal defense has been the subject of a nationwide debate. In order for a defendant to rely on the insanity defense, the defendant must have been unable to appreciate the nature and quality or the wrongfulness of their acts at the time the offense was committed. Yet contrary to public opinion, the insanity defense is rarely used (in about one percent of all cases), and when it is used, it is only successful approximately 25 percent of the time. In addition, according to the American Psychiatric Association, defendants found not guilty by way of insanity are as likely to spend the same or more time in a psychiatric institution as those convicted and sentenced to prison for the same crime. At the heart of the insanity defense is competency and culpability; whether the individual’s cognitive abilities interfere with mens rea, so to speak. 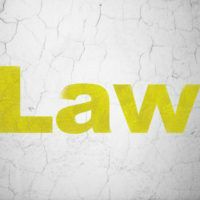 Judges and juries must ultimately decide whether the defendant’s mental state prohibited them from understanding the consequences and wrongfulness of their crimes at the time they committed them. Examples of those who have successfully and unsuccessfully plead not guilty by insanity include John Hinckley Jr., who attempted to assassinate Ronald Reagan and was sentenced to 35 years in a psychiatric hospital, and James Holmes, the Colorado shooter whose plea of not guilty by way of insanity was rejected. And yet, it is difficult to discuss the insanity defense without also looking at how the issue of mental illness intersects with the U.S. legal system. There are some who believe that the current insanity defense is so broad that it fails to assist those who suffer from mental illness—and commit crimes due to that mental illness—yet do not meet the high threshold of what the insanity defense requires. The definition of insanity depends upon state law. For example, in New York, an individual lacks criminal responsibility by way of mental defect or disease when, at the time of the criminal conduct, as a result of this mental defect or disease, they lack the substantial capacity to know or appreciate the nature and consequences of such conduct or that such conduct was wrong. In New Jersey, the individual must have been laboring under a defect of reason such that they did not know the nature and quality of the act they were engaged in or if they did know, they did not realize that that act was wrong. If you live in New York or New Jersey and you have been accused of a crime that was not your fault, contact our experienced criminal defense attorneys at the office of Phillip J. Murphy today for a free consultation and find out how we can help.